After telecommunications companies revealed on Friday afternoon how Ugandans will be paying for social media taxes, a reflection of government’s commitment to collect the controversial levies, a heated debate was prompted across various platforms of exchange of information. Though the opinions are still binary, scrolling through social media or skimming through information produced by some mainstream media houses, one can tell that the overwhelming majority of Ugandans are opposed to the initiative. As the spirited discussions raged on, especially on Twitter, some tweeps decided to tag Frank Tumwebaze, the minister of Information, Technology and Communications, calling for his opinion on the matter. At about an hour or so of an intense debate that highlighted how the tax was unfair, with some punching holes in its mode of implementation, Minister Tumwebaze finally calmed down the tension, calling on bodies under his ministry – Uganda Communications Commission, National Information Technology Authority and the ICT Association of Uganda – to convene a dialogue where people can be able to give their opinions that will help chart the way forward. Whether the suggested dialogue will yield results or not, can be based on a series of events that have unfolded right from the beginning. First of all, when President Museveni proposed the taxes on social media, he said he wanted to reduce on gossip that was becoming prominent on the platforms. This had been preceded by blocking of social media during presidential elections. But, quite surprisingly, a few weeks later, Tumwebaze said the president was being misquoted, saying that the taxes were meant to fight foreign content to encourage local content developers to create social chatting tools that won’t be taxed. 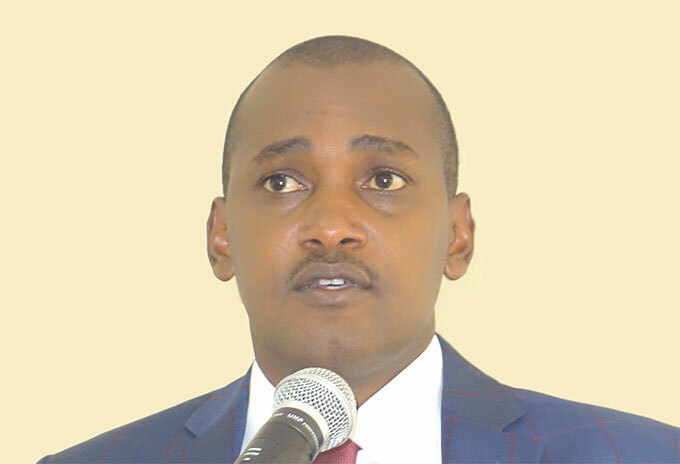 Tumwebaze has since changed his position, and he is currently saying that the taxes are good since they will help in increasing broadband strength so that all people are connected to the internet. He has even told those who are saying their social media-hinged businesses might collapse due to reduced traffic that it’s by strengthening the broadband infrastructure that most people will be connected to the internet. Aside from the above, the government says it wants to increase its revenue base, considering a significant portion of the current budget is being funded through borrowing and support from development partners. This is not about to be solved. If all goes as planned, tomorrow, Sunday, is the day when we shall all be blocked from accessing social media until we pay the tax. But questions have also come up, with some pointing at the increased expenditure companies are going to spend running social media on their computers for all their workers. The method of paying has not yet been revealed. And most ISPs are yet to show how they will be collecting the money. For those who intended to VPNs to escape the taxes, the revenue collection body showed that they are also among the Over The Top Services, hence they are subjected to the tax. But, even if VPNs were not being taxed, its actually more costly using a VPN, in terms of data bundles, than paying the social media tax. Meanwhile, a group of lawyers, including Silver Kayondo and Daniel Bill Opio are on Monday filing a case in the Constitutional Court seeking to block the social media taxes. Hey @FrankTumwebazek, I just want to ask a humble question….You can choose to answer it or Ignore it, it’s Okay! Thank you Hon. @FrankTumwebazek for this initiative. We are ready to play our part in this dialogue. Govt is taxing freely available services. Most of the people don't pay for these services and they don't make any money from them. I think it'd have made a bit more sense taxing Internet access, or people/businesses that earn from them. Hon, We should have an hour where tweeps can ask your office questions about the new tax. Ok since you say we do this soberly…. What's your timeframe until the infrastructure you hope to build comes online? Until I get more clients? Starting tomorrow, my page's rich will die by thousands. When is your broadband coming to my rescue?